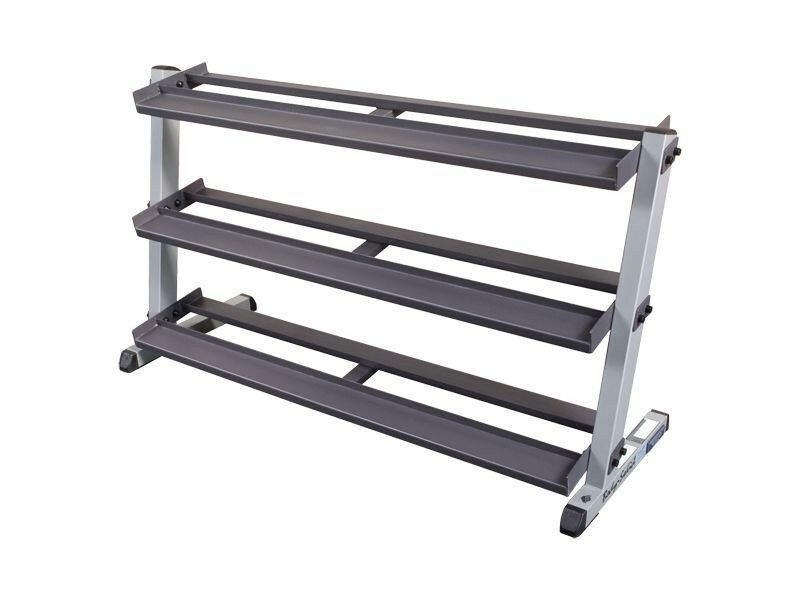 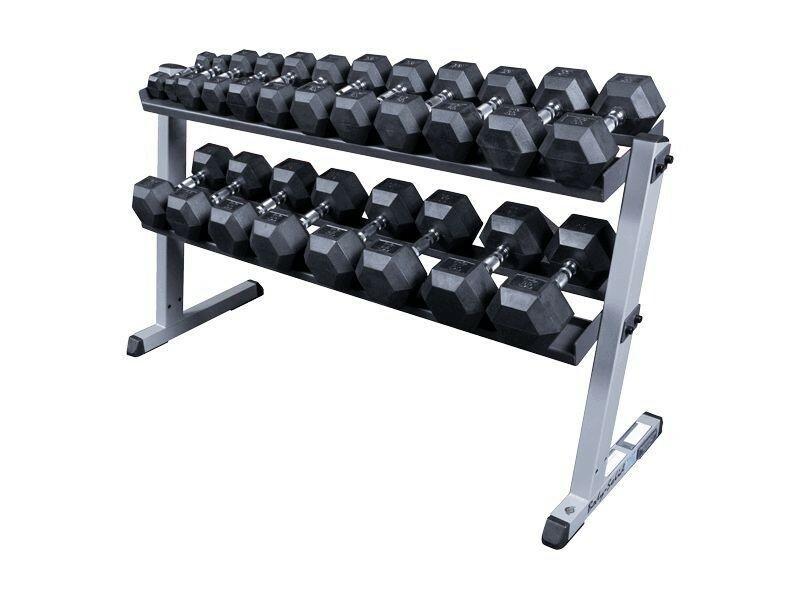 This base version of this rack includes 2 tiers that fit a 5-50lb set of hex dumbbells. 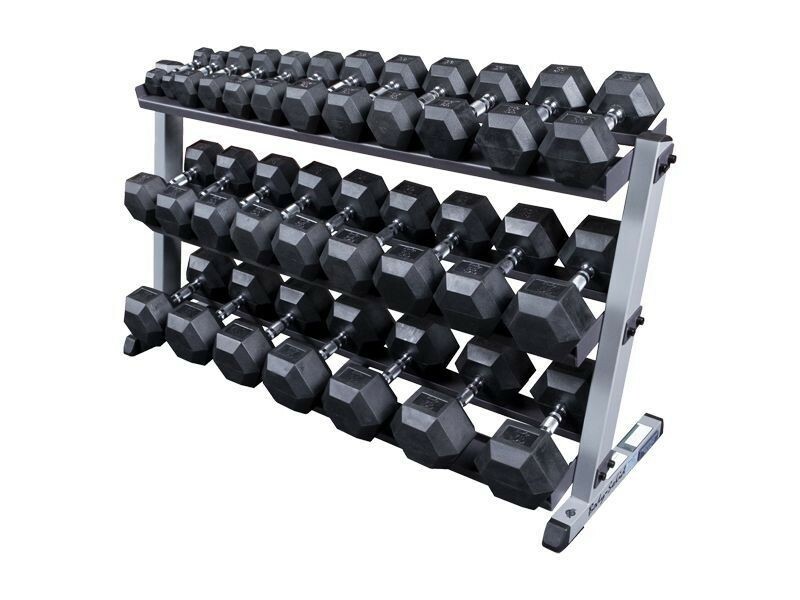 Optionally, add the third tier that goes underneath so you can fit pairs of 55, 60, 65 and 70lb dumbbells as well. 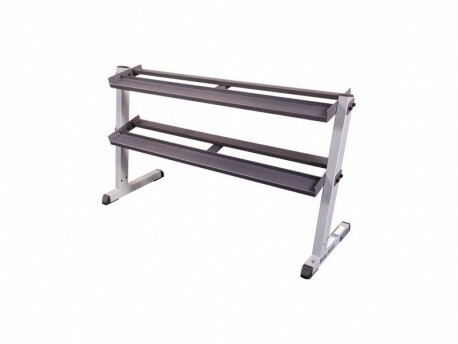 Each leg is 1-piece welded construction for maximum strength and stability in commercial environments.